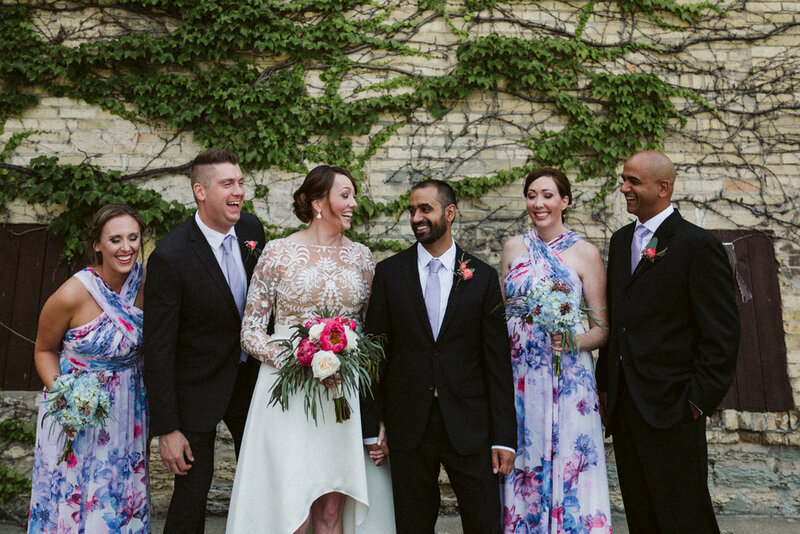 From the moment I met Liz and Shawn for coffee a few months ago, I knew their intimate June wedding at Emmett's Brewery in West Dundee would be special. Just the fact that they made it to this day is a testimony to their strong love. Liz and Shawn love adventure travel (their honeymoon? hiking the Alps! ), and while dating, they made a trip to Costa Rica, where Shawn contracted a terrible flesh-eating illness. 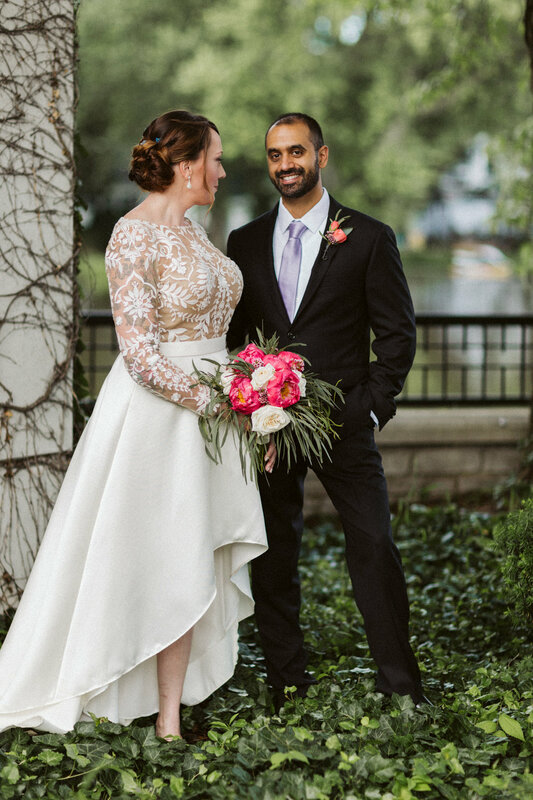 While he recovered in hospital, Liz stayed nearby; they said it was a great opportunity to test out their vows, "in sickness and in health," and still carry special memories from that challenging time in their relationship. 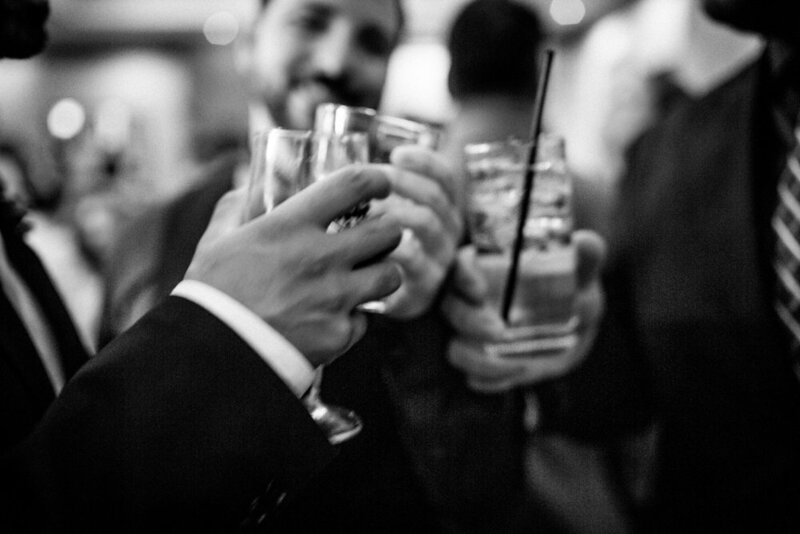 So when finally their wedding day arrived, and the joy of their family and friends was palpable! 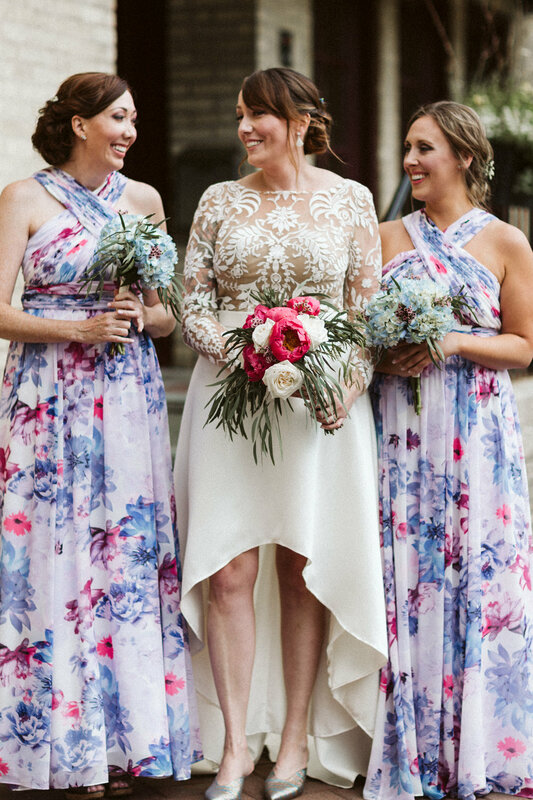 The bride's details were perfection, including Liz's customized BHLDN wedding gown, paired with borrowed earrings from a friend's wedding collection, and colorful shoes that were accentuated by her short dress. 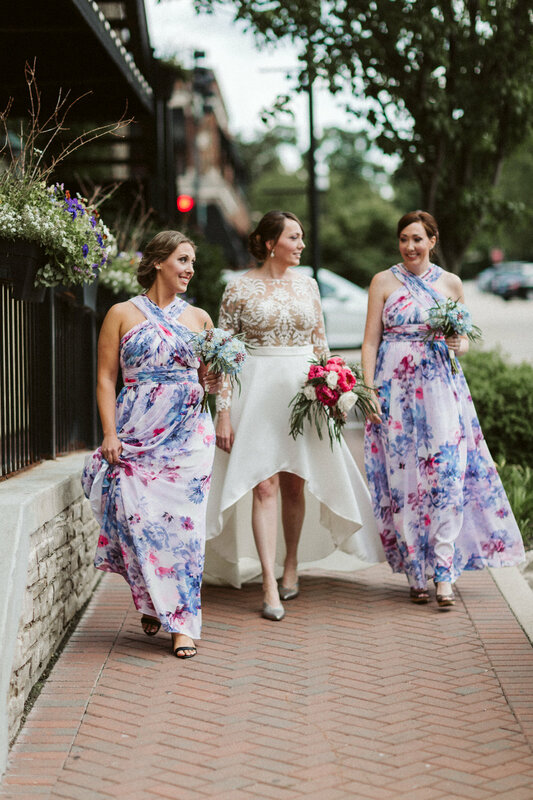 The sweetest peony and hydrangea bouquets went perfectly with the bridesmaids' painterly off-the-rack Calvin Klein dresses. 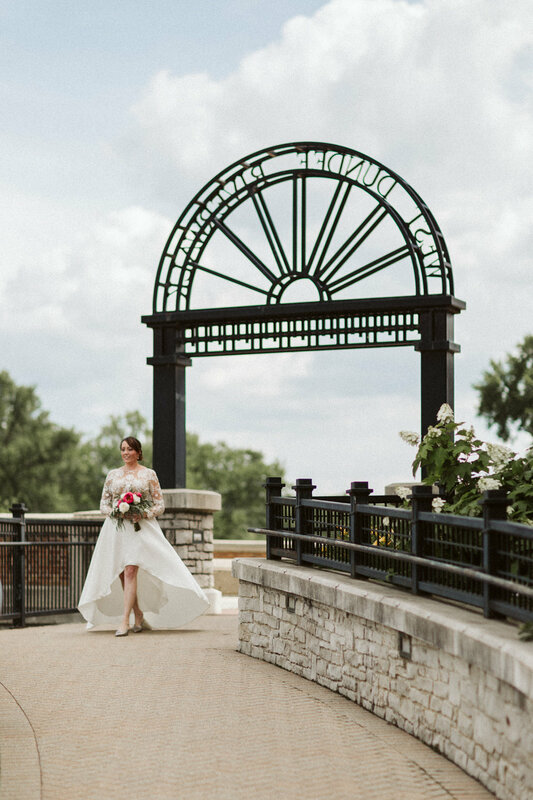 The weather and the West Dundee Riverwalk created the dreamy urban backdrop for the couple's first look and wedding party photos, which was followed by the intimate ceremony in the loft space of the venue.